Did you know that each week on the EMS Office Hours live podcast, we mention a key point that if you are the first person to post a comment about it in the episode post, you get a little prize? If that wasn’t enough I also am giving away a prize at the end of each month to listeners and visitors of the blog who post comments, like or recommend a post on FaceBook or Tweet about a post. I will be selecting a recipient randomly from the special member mailing list of EMS Office Hours. So, all you need to do is join the mailing list by using the form to the right and then make comments and/or likes on content within the blog that you enjoy or wish to add your take on. It also exposes you to content and updates across The EMS Professional collection of sites and resources. If you are a business or organization looking to get some exposure to your product or service. 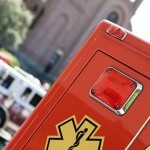 Contact Jim at jhoffman(at)ems-safety.com to be a part of the weekly or monthly giveaway. You will be mentioned during the live shows and announced when winners are selected. My name is Jerrid Edgington and I’m a Paramedic in Oklahoma. I recently wrote and published a medical fiction novel called, “Racing the Reaper”, and it’s available for sale on Amazon.com. I was curious if this would be of interest to you to promote on your site ? I published it on April 18, 2013 and to date, have sold 250 copies thus far. The reviews have been great and it’s the first book in the series. I greatly appreciate your consideration. Thank you again. Thank you so much sir. I looked at the site you had suggested but I couldn’t find a way to contact them. Any suggestions? Being a super specialty hospital, an advanced EMS set up, which accredited to JCL is acquiring the tips from EMS SEO. I periodically sent these tips to our paramedics, who highly appreciate. Now we are in process to get the membership of it and other links to update our staff.